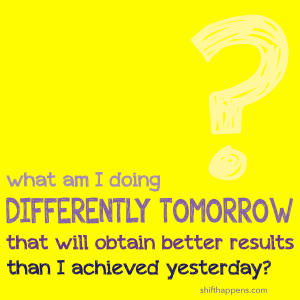 I often ask myself questions to change the way I think. These are ’shake-me’ up questions and most of us have them. Frankly, to put this country back on track we need to encourage everyone to “stop the stupid stuff.” You know–those things we all do that provide little in the way of emotional, financial or health support to others or ourselves? Isn’t it time for all of us to be creating solutions rather than allowing the problems to grow? We all have the ability to reinvent ourselves. To think differently. To ask questions that ignite discussions and stimulate creative solutions. “Now I lay me down to sleep…” goes the children’s prayer. For me it’s a little different. I go to sleep with a bedtime question. 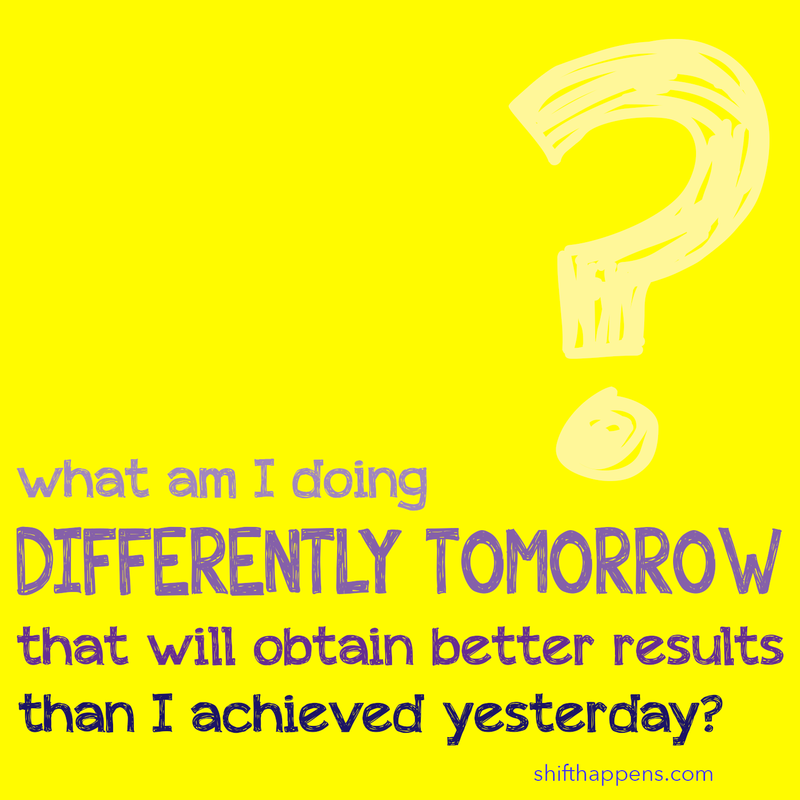 “What am I going to be doing differently tomorrow that will give me better results than I achieved yesterday?” Give yourself the freedom to try new ideas. Ask yourself ‘shake me up’ questions. The answers may help you to create a challenge and a choice that requires the courage to change. We can’t prevent what we can’t predict.